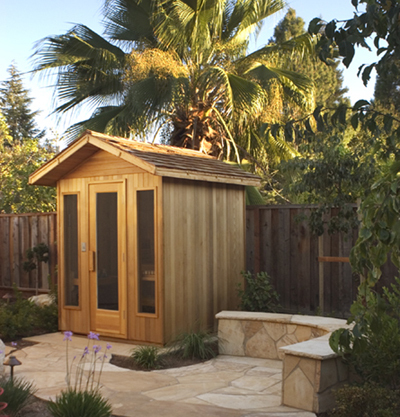 Portable Spas plus Saunas is proud to be the leading provider of the top brand of Finnish style saunas using aromatherapy here in Southeastern Michigan & Metro Detroit. 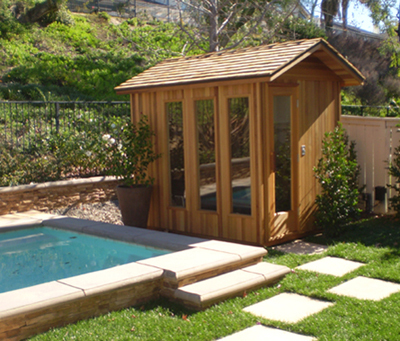 As an authorized provider of Finlandia Saunas, one of the oldest sauna manufacturers in the United States, we deliver a product to you with unmatched quality in the industry with a focus on authenticity. Finlandia saunas are designed to recreate the centuries old experience of a "True Finnish Sauna". Finland, being the birthplace of saunas, considers sauna bathing to be an essential part of a long and healthy lifestyle pioneering the concept centuries ago, and growing it to where it is today, often imitated, but never duplicated. Sauna bathing promotes health by opening the pores and creating a pathway for the body to expel toxins and impurities, giving your body the deepest cleansing possible from the inside out. Some benefits include relaxing tired muscles, maintaining clear skin, while improving circulation and even burning calories! Learn more about the health benefits of saunas. 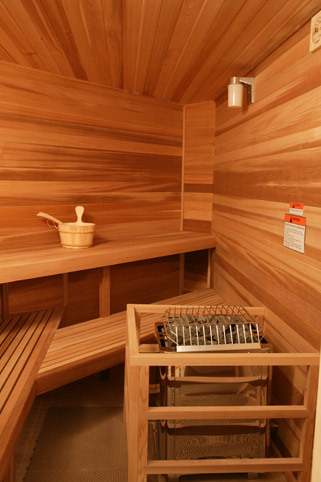 Our Professional Sauna Installations Are Trusted by Metro Detroit’s Top Names in Health, Sports and Entertainment, and They Are Duplicated in Your Home Where You Get Undressed Everyday. With more than three decades of experience, our accomplishments speak for themselves. 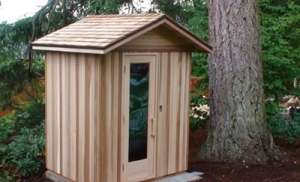 Our record includes installing Finlandia Saunas in many well-known facilities, as the MGM Grand Casino and Spa, The Beaumont Wellness Center, Comerica Park for the Tigers, The Joe Louis Arena for the Red Wings, the Training Room at the Troy Sports Center, along with multiple Gold’s Gyms, Powerhouse Gyms, and most recently, Little Caesars Arena for the Pistons, and a long list of many more. 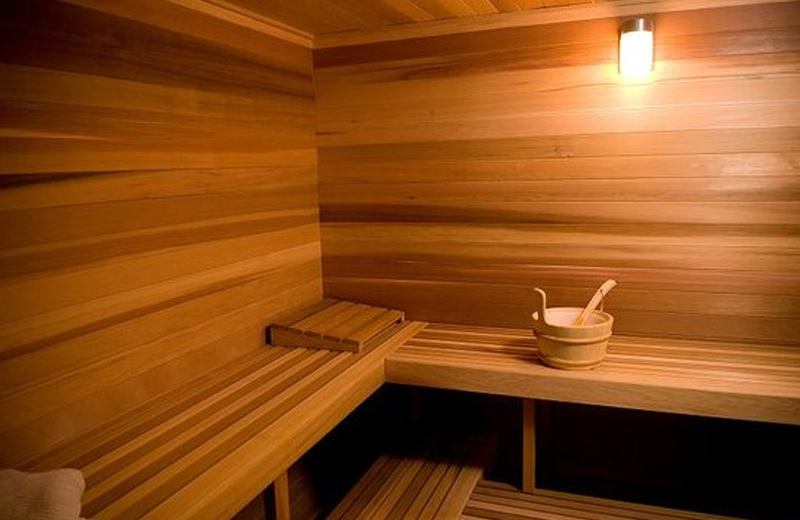 Finnish saunas are often imitated, but never duplicated in the experience. 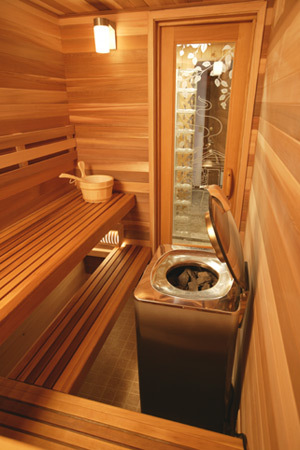 Sauna is a word used in marketing to describe many similar products imitating the experience through the use of lower-cost infrared carbon and ceramic heating elements, but without the water. "True" saunas utilize water on heated stones to produce humidity that is drawn into the respiratory system, a much more beneficial experience. 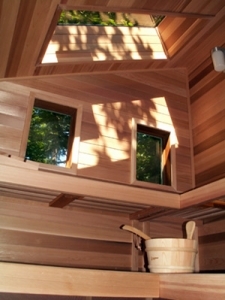 Step into a "true" sauna and you will immediately understand the difference. You have nothing to lose, and everything to gain by investing in what has been recognized by so many others as the best quality choice available. It’s an investment that you will enjoy for many years to come. Our commitment to quality products, coupled with more than three decades of experience in providing expert installation services throughout Southeast Michigan and Metro Detroit, Portable Spas plus Saunas has built a reputation for being a leader in the sauna industry. To request a free quote, or to learn more about how spas and saunas can improve your health and happiness, inquire today! Download Finlandia's Digital Brochure Now!